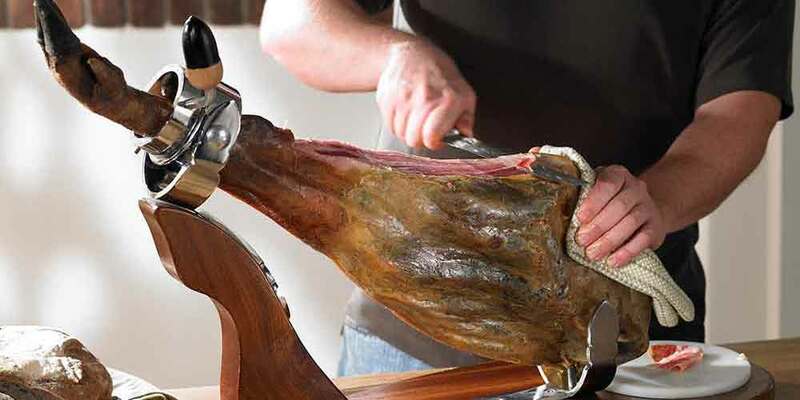 There are hundreds of Spanish recipes that include Iberico ham and the delicious marbled Iberico pork. Here are a few recipes that blend Iberico meats with other tasty Spanish delicacies. You can add sliced jamon Iberico ham to any recipe that calls for flavorful cured ham. Iberico pork is wonderful on the grill and has a deep red color and juiciness not found in any other pork.